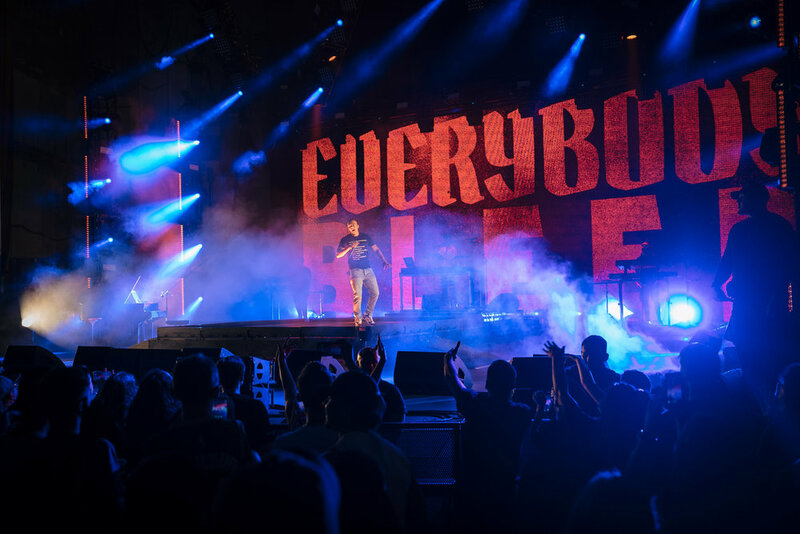 For Logic’s 2018 ‘Bobby Tarantino Vs Everybody’ tour Comix designed and created thirteen time coded tracks of visual content alongside video overlays. All of the content was designed to look grungy, textured and visceral, keeping a feeling of newspaper print with a mix of degrading digital media. This style was to reflect the nature of Logic’s music, which always has something to say on people, culture and current affairs.